I have lauded Warp Prism (now known only as Warp) more than once in the past. Their 2013 concept album, The Infinite II, was – and still is – one of the best prog metal releases I’ve heard. It mixed in djent and electronica in a more than decent manner, and the song structure there was stellar: continually evolving while still keeping its place under the overarching story. The album was a marked step up from any of their previous works, namely Evolution and Transcode. This led me to pre-order Anima as soon as it was made available, a practice I’m usually not a fan of, but I just couldn’t contain myself… And now here I am, a bit disappointed and more vehemently in disfavour of blind – or deaf – pre-orders as ever. The most noticeable detail on Anima is the vocals, which have grown worse, and match the feel I had with those on Evolution: immature (as a musician), forced and, to a certain degree, out of place. I can give it to Ryan Wall that he has a wide vocal range and can pull off pretty high notes, as well as a variety of harsh vocals, but – and maybe that’s due to the overuse of vibrato – they often sound slightly off pitch, some higher notes seem to take a certain time to reach, and I feel like they’re there to showcase the singer’s talent at the expense of the overall experience. Some places even feel like he’s coming with the melodic lines on the spot, as he’s recording, either because of a fraction of a second’s hesitation or the uninventive melodic or rhythmic patterns. It’s also possible that, quite simply, not enough time was put in the recording process, as mostly all vocals were made in only one or two passes. That being said, I’m no singing specialist, these are only my feelings towards it. They were much more memorable on their previous album. Now on to the other instruments. The riffs on Anima are on or around the same level as those on their previous albums, but they lack the progression of The Infinite II. 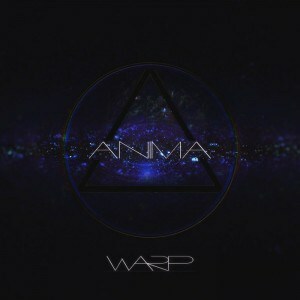 Warp Prism has never been about really complex riffing, and those on Anima are actually pretty good, but the structure of the songs are much staler, approaching what we would find in a metal cover of a pop song. There are, here and there, few instances of cool moments, but they remain enclosed in that predictive song structure prison. Actually, Anima might even be a concept album, but I haven’t noticed it, as all the songs seem to stand on their own and not relate to the previous or the next in any way. If they are, it was most probably thought of after the composition process, instead of being an integral part of it, as if the songs were taken from Kevin Suter’s or Max Karon’s instrumental solo projects and cobbled together for this album. This makes me think that the trend I thought I was noticing with the continuous improvement of Warp Prism’s albums is in fact a somewhat flat line, with The Infinite II as an aberrant data in the set. 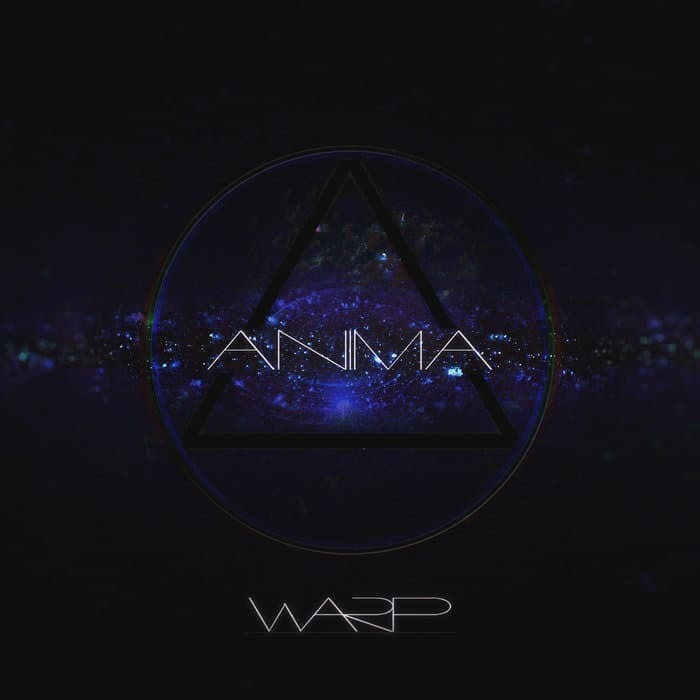 Writing this review was important for me, even if I don’t like or usually do negative reviews, because I’ve recommended Warp Prism more than once, and I highly anticipated Anima. Truly, if I didn’t care about the band, I would’ve just not written about it, but I love Warp Prism – now Warp -, at least on The Infinite II, and that’s why it was important for me to write it anyway. Also to let you all know that, even if I still do for the previous albums of the band, I don’t recommend Anima. I recognize that I might’ve been quite harsh in my review, but I think the album still deserves a listen from your part. Tell me what you think! Maybe all this is only due to my standards being unreasonably high after The Infinite II. In any case, Anima is a decent, if rather lacklustre release. Now remember, this review is only a reflection of my own appreciation of the album, it’s all subjective and not in any way how everyone should think. Diverging opinions are the best. In the end, Anima is pretty good, but it’s not what I thought it would be.